UPDATE: We are very proud to announce that wine writer Jancis Robinson will be delivering the keynote speech at the 2011 North American Wine Bloggers Conference. 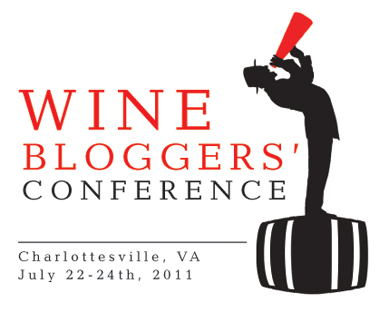 Join wine bloggers, new media innovators, and wine industry leaders on July 22-24, 2011 in Charlottesville, Virginia for the fourth annual North American Wine Bloggers Conference – the premier conference for new media and the wine industry. This three-day symposium builds on our past successes and brings you a unique opportunity to learn about and discuss the intersection of wine with the world of new media including blogging, social media, and more. We invite all our fellow food bloggers to attend!